The Bar10der is the first and only 10-in-1 bartending tool that allows you to bring the bar home so you can mix up your favorite cocktails and mocktails whenever the mood strikes. Packed with 10 essential bartending tools in one sleek design, the Bar10der makes it easy to mix, create and serve a perfect drink. Cheers to that. With the Bar10der, you’ll be able to whip together the cocktails you and your friends love to enjoy, but never thought you could recreate at home. 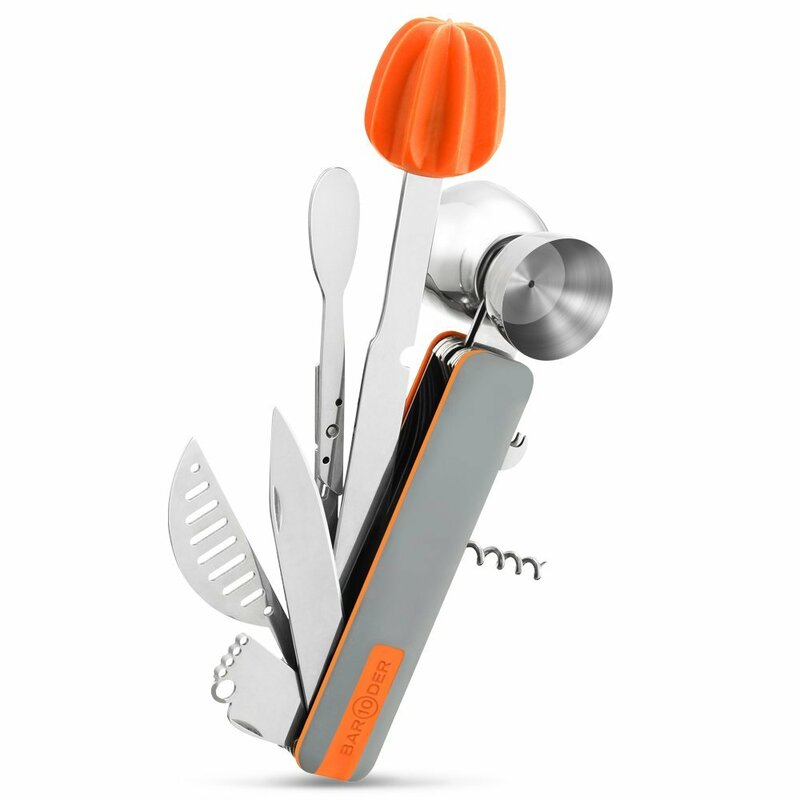 Plus, the 10-in-1 compact design makes it simple to use and store. This modern wonder-tool allows you to craft libations you’ve only seen the likes of at your favorite speakeasy. Most of the tools are crafted in stainless steel ensuring the set can hold up to your most rugged mixology moves.